National Donor Sabbath is a call to action for local places of worship to help spread the message of hope and share in celebration of giving men, women and children a second chance at life. National Donor Sabbath is recognized annually on the second full weekend in November. CORE will provide your place of worship with promotional and education tools to distribute to your congregation in efforts of motivating members to become registered donors. 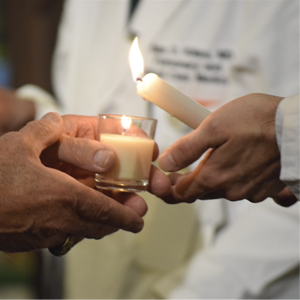 National Donor Sabbath is designed to encourage public awareness of organ and tissue donation in the faith-based communities. It is important to address the issue of organ, tissue and cornea donation in the context of religious beliefs, especially since a majority of faith groups view organ, tissue and corneal donation as an acceptable and charitable act. As part of National Donor Sabbath, we would like you to partner with CORE by requesting a National Donor Sabbath Tool Kit. If you are interested in further information on organ, cornea and tissue donation for your congregation, please call 800-DONORS-7 (800-366-6777).